Okay, so a design team walks into a meeting with a corporate client. They were hired to work on their logo and after a few months of sketches, consultations, failed concepts, back-and-forth deliberations with the client, they walked into the meeting charged, confident and armed with what they knew was a great logo that served all the client’s needs. They walked into the meeting, presented their logo, talked about the logo’s great concept at each stage of its progression and sold the hell out of it to the corporate suits that were sitting wide-eyed and open-mouthed in glee. They were super impressed. “What do you mean by ‘initial briefing’? We’ve been working on this for months!” retorted the designer. So that was a bit of long-winded (but hopefully more enjoyable?) way of getting a point across. Some may be surprised that the Lightning rank this low considering how much I’ve preached simplicity so far, and to be honest, I waffled a bit about their placement. But, for me it comes down to one simple thing. The logo missed the mark. It’s not a hockey logo, it’s a corporate logo and would work beautifully for a lot of different organizations but it doesn’t work in sports. This logo is pretty new, being oddly launched, kind-of, mid-season last year. They played a few games over the rest of the season with the new jerseys, but with the intention of using it full-time in the current season. It’s kind of like a soft launch, but I’ve never seen that before in hockey, or in other sports. The off-season is usually when teams make any significant changes to their logo/jersey. Anyway, that’s besides the point. Note: Simon (commenter below) provided a link that discusses a bit about how the new logo came out. You can read it here. There are only two other teams in the NHL that have a brand (logos, jerseys) with only one solid colour, Detroit (red) and Toronto (blue). Without taking away too much from their eventual inclusion in the BTLNHL discussion, their logos have a strength and solidity to it. 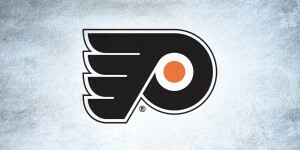 The solidness of the logo is indicative of the type of sport that hockey is: intense, physical, fast and strong. Detroit’s logo is mainly red. Toronto’s is almost all blue. 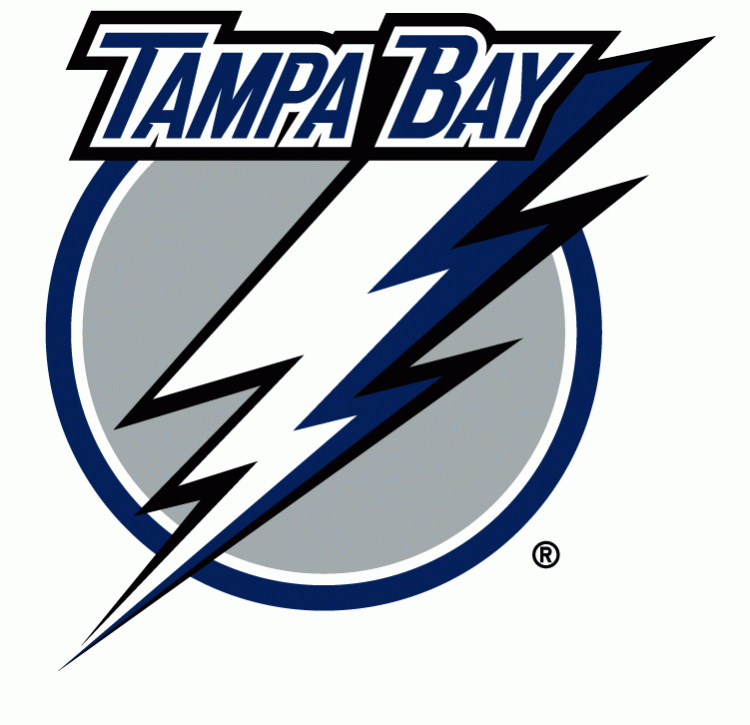 Tampa Bay’s has more negative space than positive (i.e. – it’s more white than blue). It’s lighter, it’s less dense and doesn’t carry a strong physical impact. It’s the opposite of hockey. An electric company. And another. And another. Most generic corporate logos. Flash Gordon. All this being said, I definitely admire the direction and the risk they took. 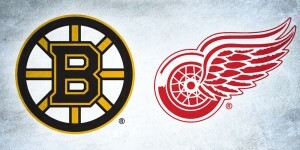 Going with one solid colour as your brand, something only two Original Six teams have gotten away with, takes guts. And I like the simplicity and styling of this logo. The differing width of the circle gives it a contemporary feel and it’s iconic enough to stand the test of time. 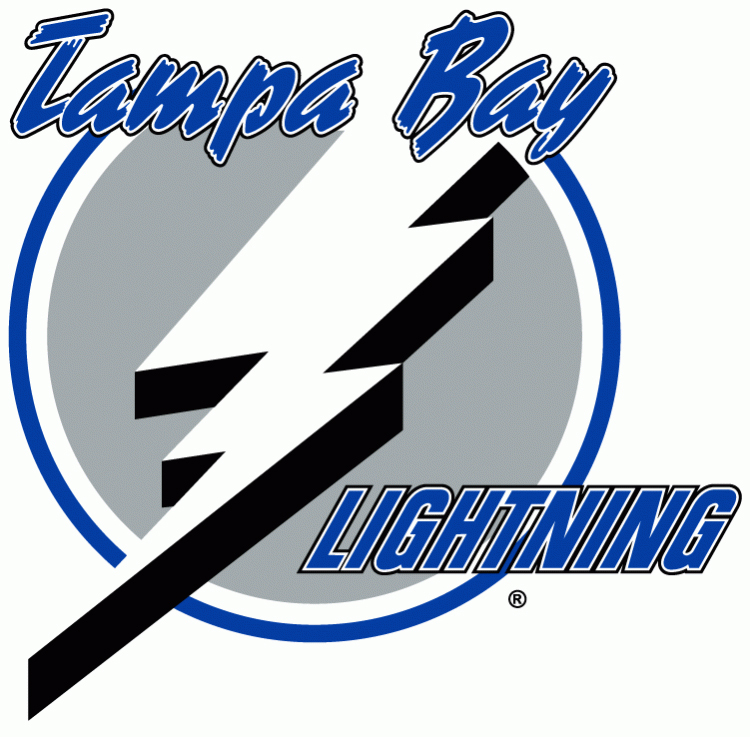 And throughout their history, the Lightning have improved their logo from this monstrosity (seriously, that type is something awful), to this (which still has strange and badly-kerned type on it) to their current logo, and none of those steps have been huge redesigns or departures from the original logo that might alienate their fans, which is more of a danger in a place like Tampa Bay. A year ago, they would not be this high on the list. It’s a step in the right direction. 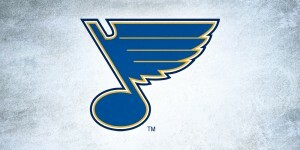 But it’s definitely not a hockey logo. 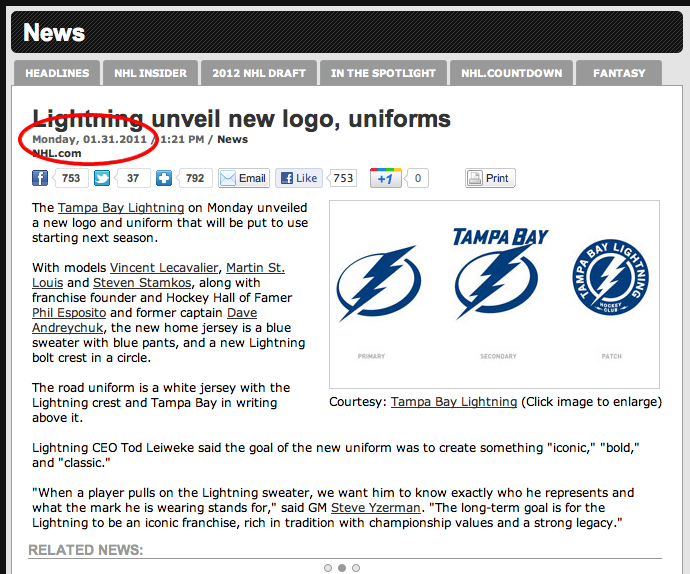 So, Tampa Bay comes in with the 22nd Best Team Logo in the NHL. You’re correct that the new logo was launched during the season but no games were played wearing this uniform last year. I don’t think that would have been allowed even if they had wanted to. I’m sure Steve Yzerman had a lot to do with the “similar to Detroit” design, having spent his entire career as a Red Wing. I stand corrected. I thought I remembered there had been games played with the new jersey last season, but I couldn’t find any info either supporting or denying it, so I went with my faulty memory. That’s for clearing it up. And I find it boring, your comparison to a electric company logo is spot on. I wished they’d used black somewhere in the logo, and put the city and/or team name in it just to make it more interesting. While it’s interesting that they use the logo in both blue and white (depending on bg colour), looking at the logo in white on a blue background makes it look even more bland. Having an identical logo on both home & away jerseys (with a white outline on the home jersey) would solidify it somewhat at least. Thanks for finding that link! And thanks for your comments. They stuck the team name over the logo on the road jerseys. Makes it awkward to watch them play with two different logos, but it makes the road logo look nice. I totally agree with some of the criticism on this logo. I can only imagine that it took them 30 minutes to come up with it. Especially since it basically looks like a derivative of the original. Plus, I feel like the stole some of the team’s identity by eliminating the black and silver and turning them into the Tampa Bay Maple Wings. That logo on a plain white jersey is something I would expect to see on an adult recreation team. I always liked their original logo. Was it classic NHL or hockey? Maybe not. Especially with the wild font they used before. But it made them who they were. And I think you kind of need to do something like that in a town like Tampa. As they were rolling this out, I was just glad I’m not a Lightning fan. Hmm, while I agree that “It’s not a hockey logo, it’s a corporate logo…”, I would argue that the Carolina Hurricanes logo has MUCH more of a corporate feel than the Lightning logo. I find the Canes logo so bland and generic. Not that a logo has to be a litteral representation of the team name, but the Canes logo doesn’t even speak sports to me. I’m surprised it hasn’t showed up on your list, yet! I’ve been a graphic designer for about 10 years now. I’m just very a novice to blogging and came across your blog post when researching design blog sites. I’ve got to admit how empowered I am with all your written content and the general level of quality of your site. I am hoping I can design a site like your own and will keep up with your articles with great interest. Thanks a lot for your creativity friend. Thanks! I think that’s my favourite comment so far. I’m glad that other designers are finding value in what I’m doing with the blog. Getting the conversation about hockey and design is what I’m trying to do. Cheers!